« Analysis and Design as named columns in Kanban? In Scrum? 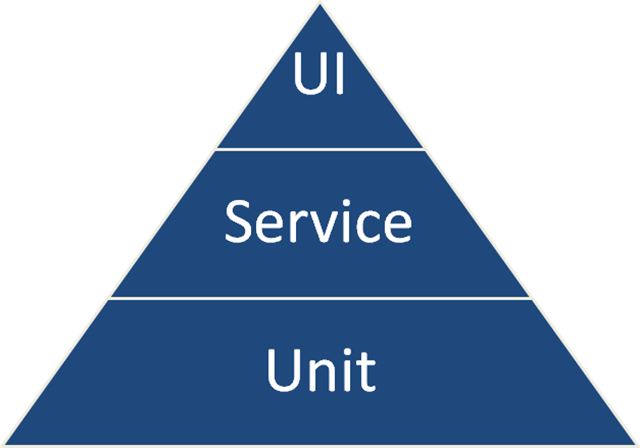 And service level testing is necessary to fill the gap that unit testing cannot test, but that we do not want to test through the UI. Take the pyramid and turn it on its side, and you have a great start to testing in your development cycle. But I maintain that if your goal for testing is to understand the quality of your system, then something is missing especially after you go to production. You must leverage the rich data from real users and real usage in production to understand the quality of your system. This entry was posted on Wednesday, July 22nd, 2015 at 12:54 pm	and is filed under Uncategorized. You can follow any responses to this entry through the RSS 2.0 feed. You can leave a response, or trackback from your own site.